FREE IN-HOME ESTIMATES SMART CARPET AND FLOORING! Call Smart Carpet and Flooring at 1-800-526-7847 for free in-home estimates on carpet and flooring. We come to you with over 4,000 styles and colors to choose from. Smart Carpet and Flooring carries a full line of carpet, hardwood, laminate, vinyl and tile. Shop in the comfort and privacy of your home and schedule your free estimate today! Serving all of New Jersey, Staten Island, NY and eastern Pennsylvania. One coupon per customer. Coupons may not be combined with any other offer. With Valpak® coupon only. Must present coupon at time of order. Coupon void if altered. Expires 05/10/2019. Coupon valid for $200 off any installed Bruce hardwood flooring of 200 sq ft or more. Cannot be combined with other offers or third party discounts. Min sq footage must be of the same hardwood quality. Colors may vary. Coupon cannot be honored at time of installation. Excludes all prior sales & contracts. Valid at Smart Carpet & Flooring throughout Somerset, Middlesex & Union Counties,NJ, including local towns of Basking Ridge, Warren, Hillsborough Bridgewater & Dunellen.Coupon void if altered One coupon per customer. Coupons may not be combined with any other offer. With Valpak® coupon only. Must present coupon at time of order. Coupon void if altered. Expires 05/10/2019. STAIN RESISTANT PLUSH CARPETING, ONLY $2.69 SQ. FT. Coupon valid at Smart Carpet and Flooring, serving all of NJ, Staten Island, NY and eastern Pennsylvania. 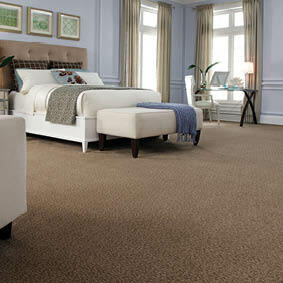 Our stain resistant plush carpeting comes in 12 colors with a 10 year warranty. $49 installation applies to either one room or your whole house! (Any custom labor may be additional). Call Smart Carpet and Flooring at 1-800-526-7847 to schedule your free, in-home estimate. We pride ourselves on outstanding customer service. Ask about our 0% financing. One coupon per customer. Coupons may not be combined with any other offer. With Valpak® coupon only. Must present coupon at time of order. Coupon void if altered. Expires 05/10/2019. Need new carpet or flooring in Staten Island? Call Smart Carpet at 1-800-526-7847 for free, shop at home service. Smart Carpet and Flooring offers top name brands on carpeting, hardwood floors and laminates, including Shaw, Mohawk and Armstrong. Browse through thousands of samples in the convenience of your home and our technicians will help you find your perfect flooring solution. Free estimates and free measuring provided. Download our money saving flooring coupons for the best pricing and ask about our special financing programs. To schedule an online appointment, simply click "Book Appointment" now. All of our flooring services include consultation, estimates and installation., Hardwood & Other Wood Floors, Laminate Floors, Pergo Floors, Vinyl Plank Floors, Linoleum and Vinyl Floors, Tile Floors, Carpeting, FLOR Carpet Tiles, Tajima Luxury Vinyl. Intellawood Hardwood, Bruce Hardwood Floors, MoHawk Flooring, Shaw Flooring, Mannington Flooring, Armstrong Flooring, Kraus Carpet & Flooring, Congoleum Flooring, Bliss Flooring, DuraCeramic Flooring, Mirage Flooring, Formica Brand Laminate, Quick Steps Laminate Flooring, Coronet Carpet, Milliken Carpet, Tuftex Carpet, SmartStrand Carpet, Stainmaster Carpet, Beaulieu of America Carpet, Zorrods Stair Rods, FLOR, Tajima Flooring. Established in 1995. For reliable, durable, quality residential and commercial flooring, choose Smart Carpet and Flooring., We are a member of the National Wood Flooring Association with a reputation for providing the best hardwood floors to our customers. Carpet delivery and flooring installation in Staten Island and Richmond County, NY including Great Kills, Old Place, West New Brighton, Pleasant Plains and surrounding areas.